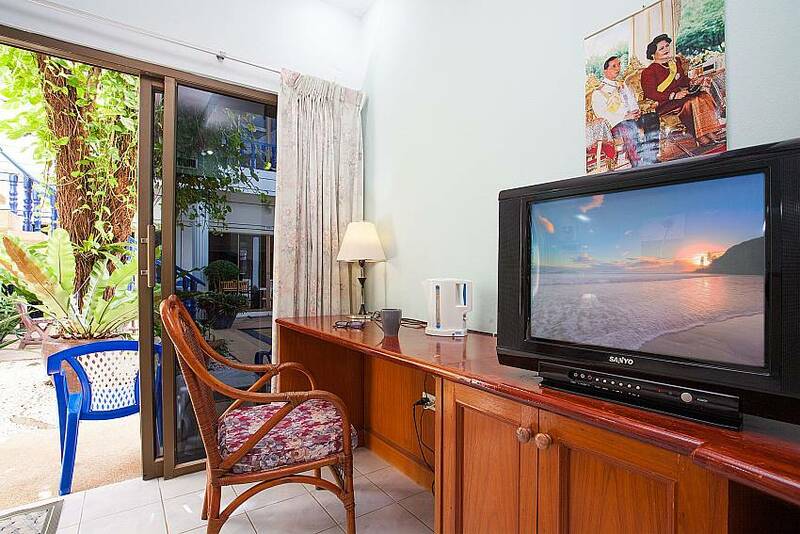 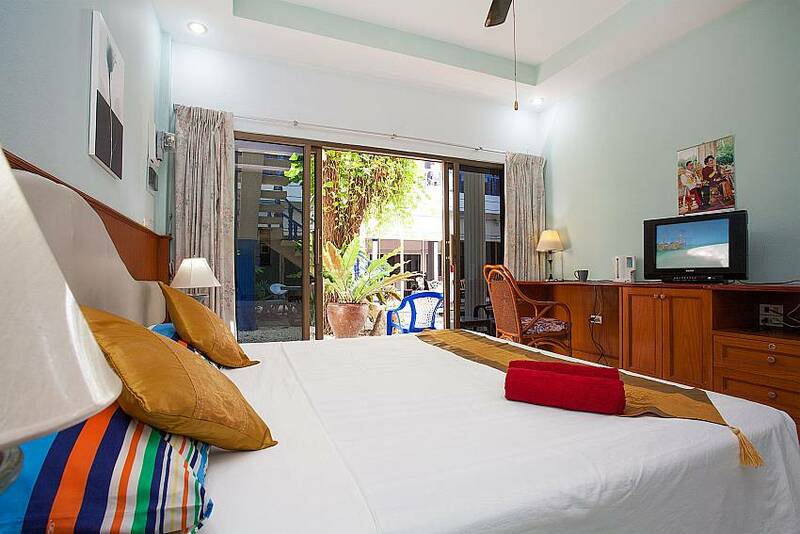 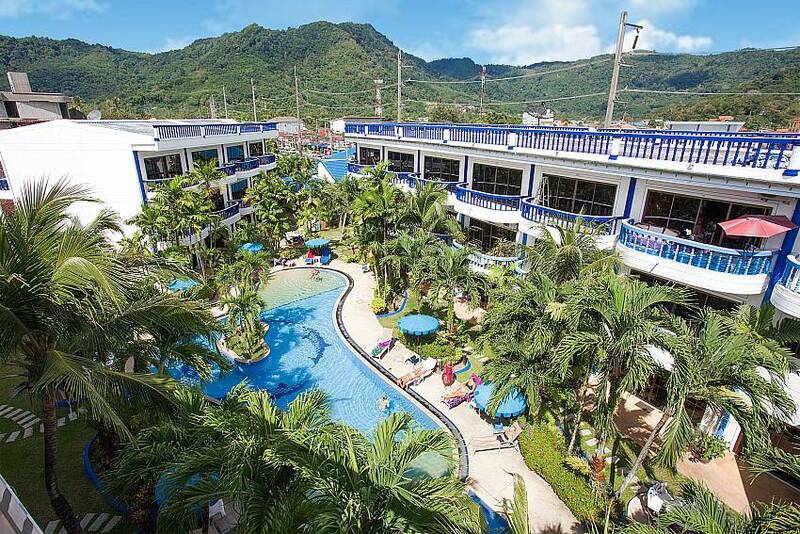 Based on the main road in Kamala town, the studio offers easy access to the local restaurants, shops and bars, plus Kamala Beach is less than a 10-minute walk away. 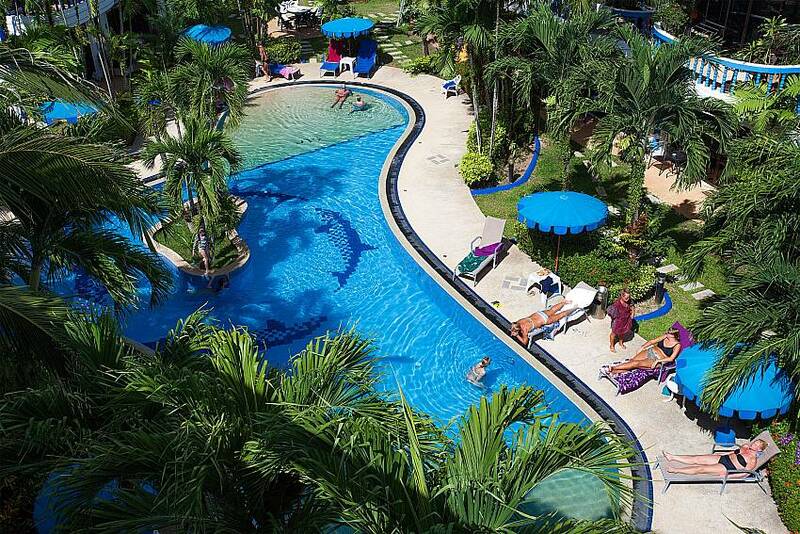 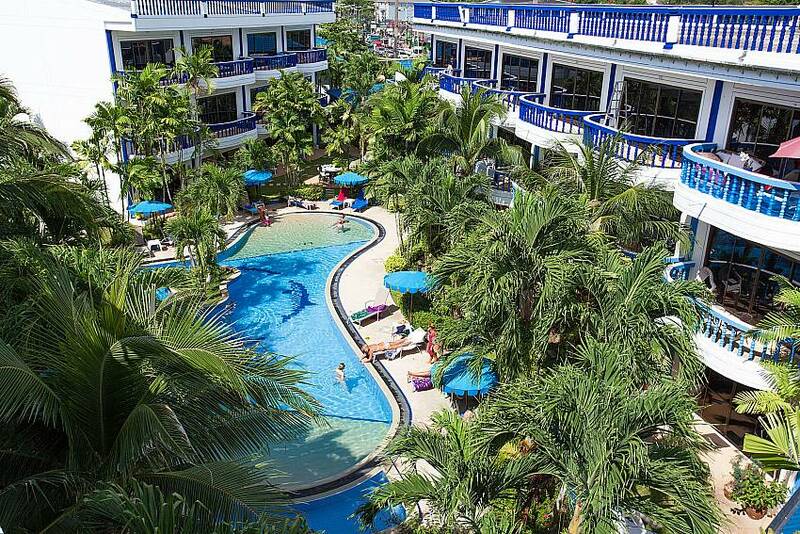 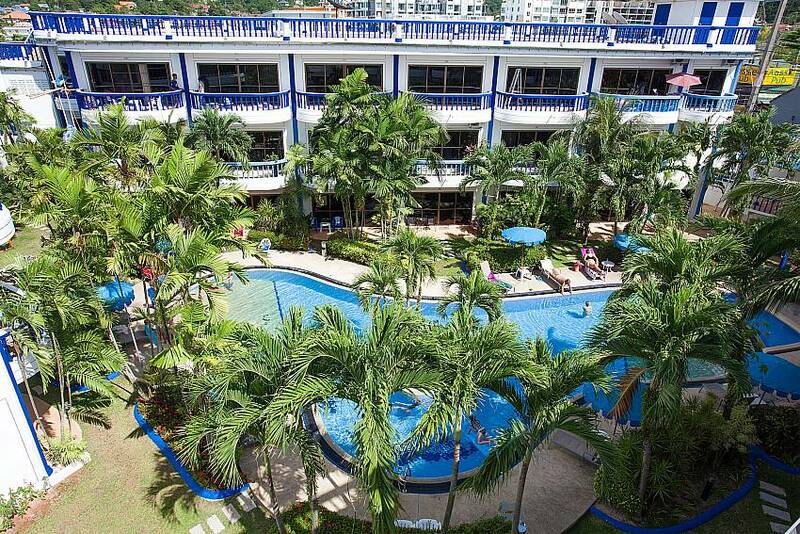 Onsite facilities include 2 swimming pools with large decks, a small Jacuzzi, and a café restaurant. 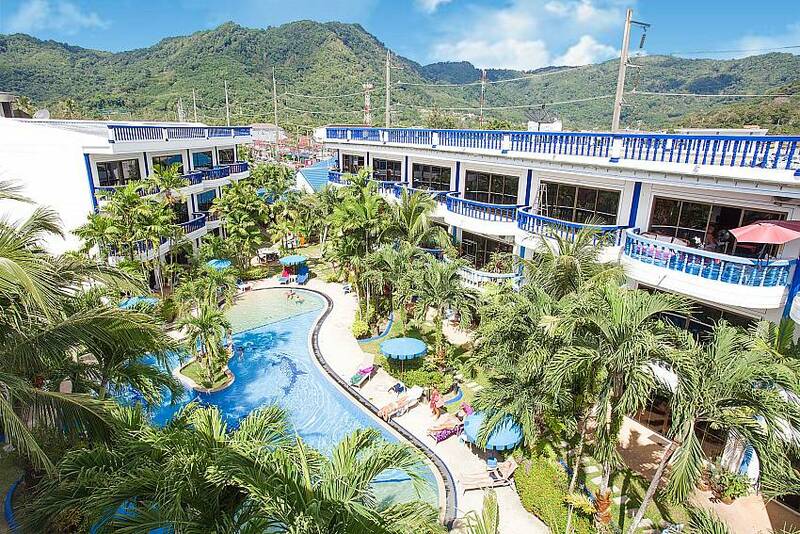 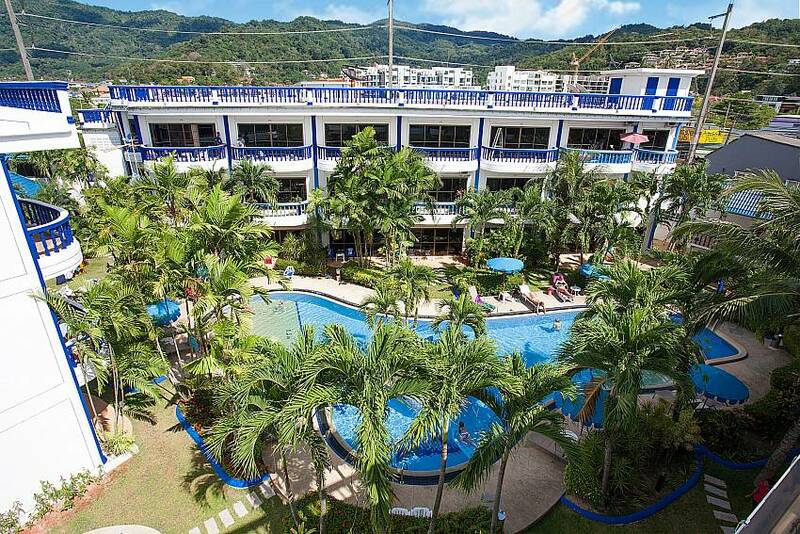 Whether you are travelling alone or with your significant other, staying at this condo will enable you to have a fun holiday and meet lots of new friends due to the condo’s location. 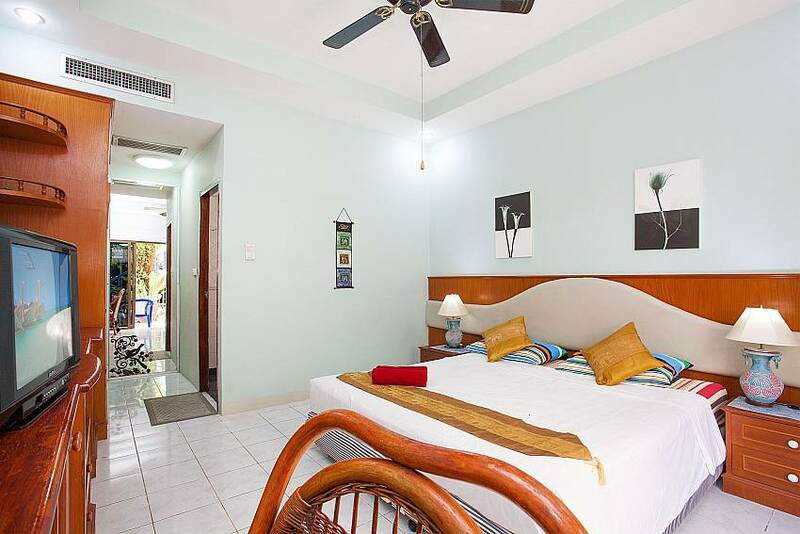 Situated in the heart of Kamala and within walking distance from a plethora of restaurants and bars, Apartment Khuno 103 also provides that tropical island experience. 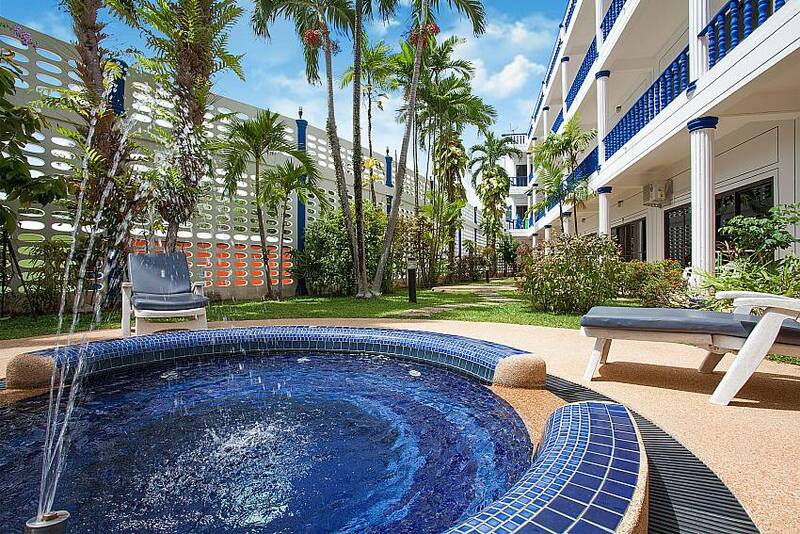 There are two communal pools for your enjoyment, one of them just out on your patio. 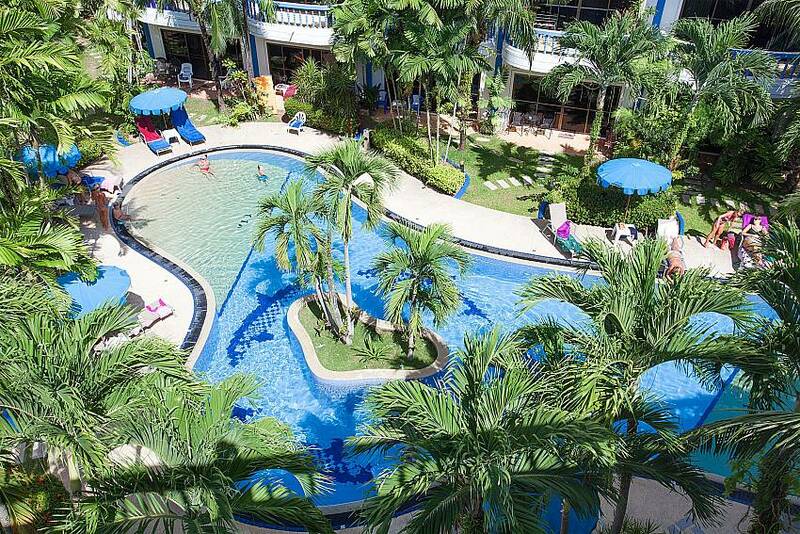 Here you can bask in the sunshine, read under an umbrella, and order food and drinks from the resort’s restaurant to enjoy while at poolside. 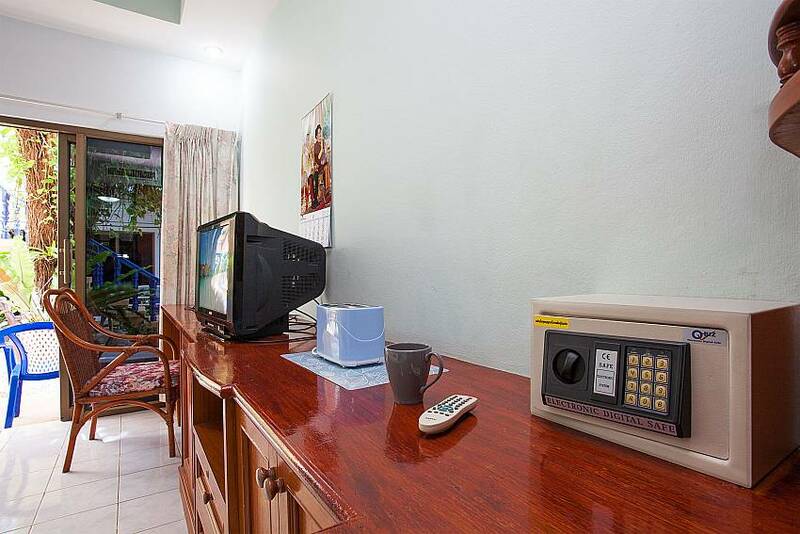 The studio is compact but it covers all the holiday essentials. 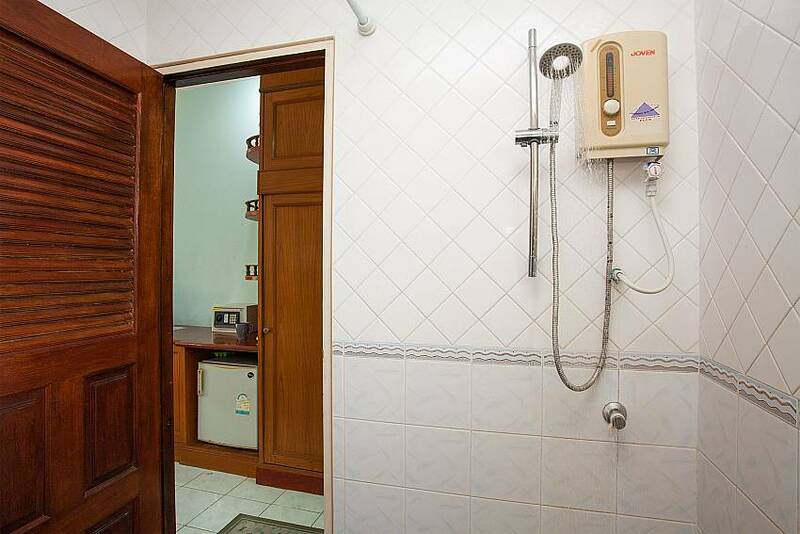 It includes a king size bed, TV with Satellite channels, table and chair, large wooden wardrobe, safety deposit box, mini bar, kettle, toaster, and an en suite bathroom with shower, toilet and basin. 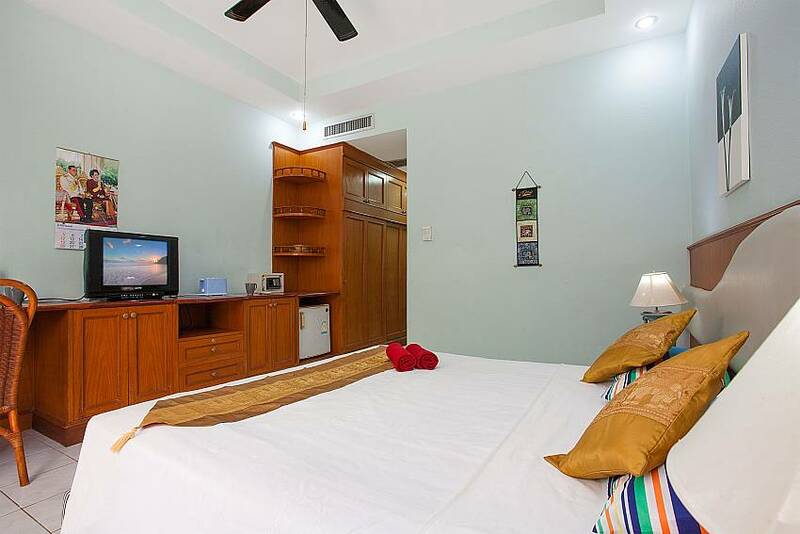 The room is air-conditioned and it also features a ceiling fan above the bed. 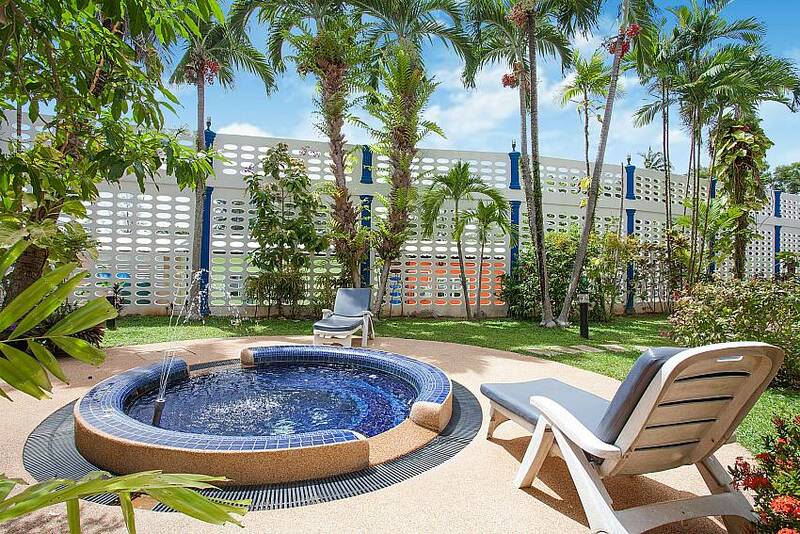 The doors leading to the pool patio are made of glass, so black-out curtains are provided to ensure a good night’s sleep. 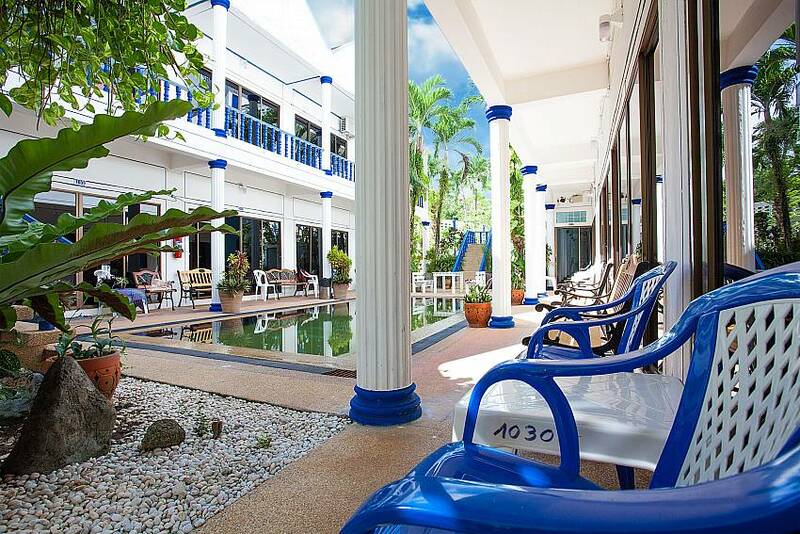 The apartment complex has multiple condos of similar style available for rent, in case you are coming with a group of friends and family. 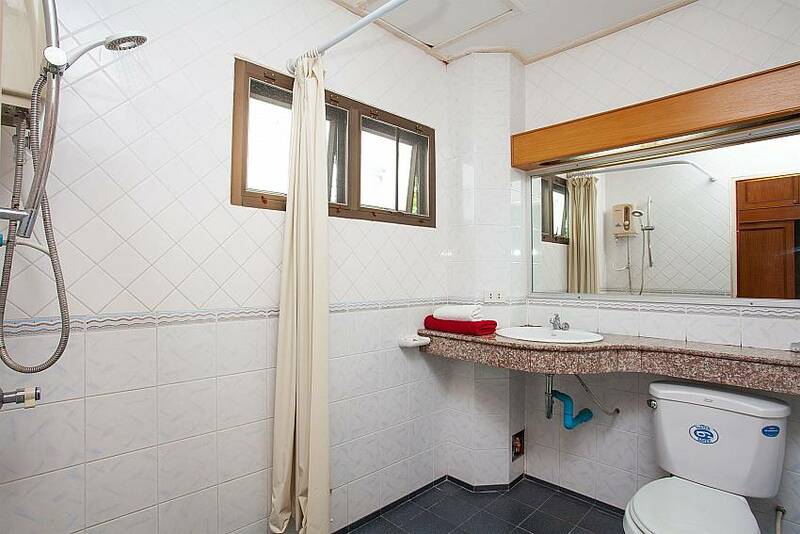 Daily cleaning and free Wi-Fi are included in the rental’s price, as well as safe parking. 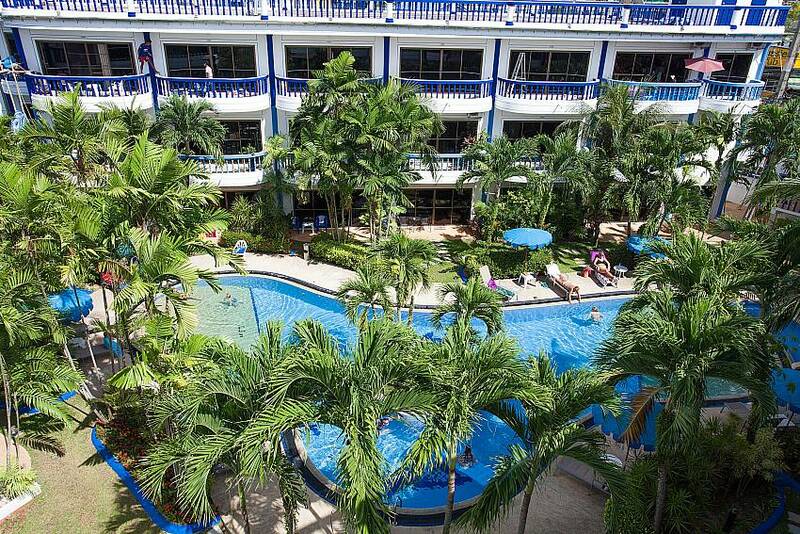 Additional charge services are also available, such as airport transfer, excursions, laundry and taxi service. 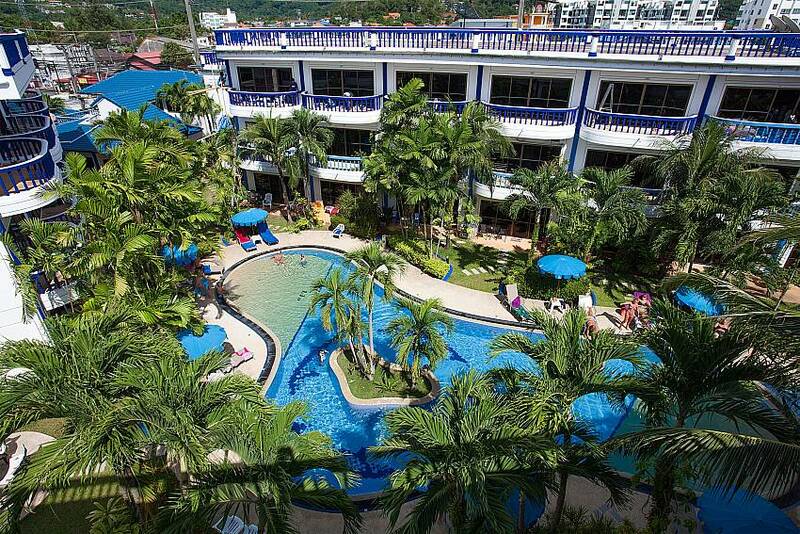 Gorgeous Kamala Beach is under a 10-minute walk from the complex; on the way you will pass many great restaurants, stores, tailor shops, and spas. 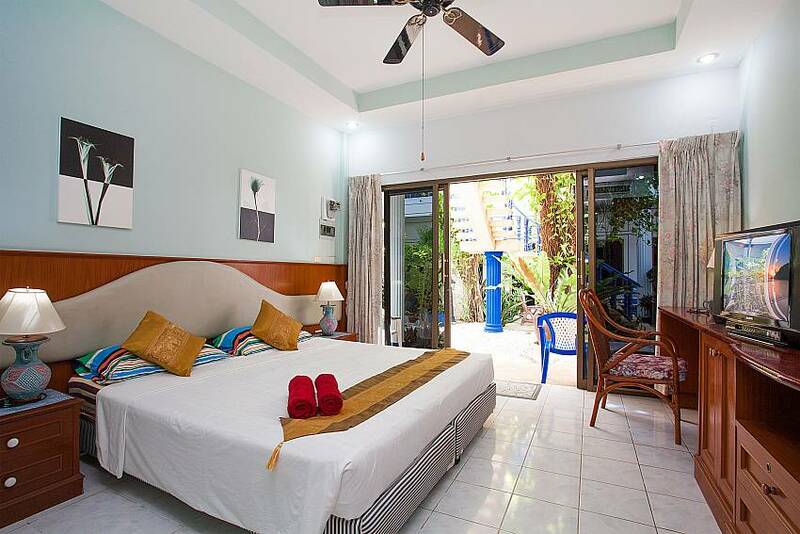 The apartment provides easy access to everything Kamala has to offer and you can walk to most places. 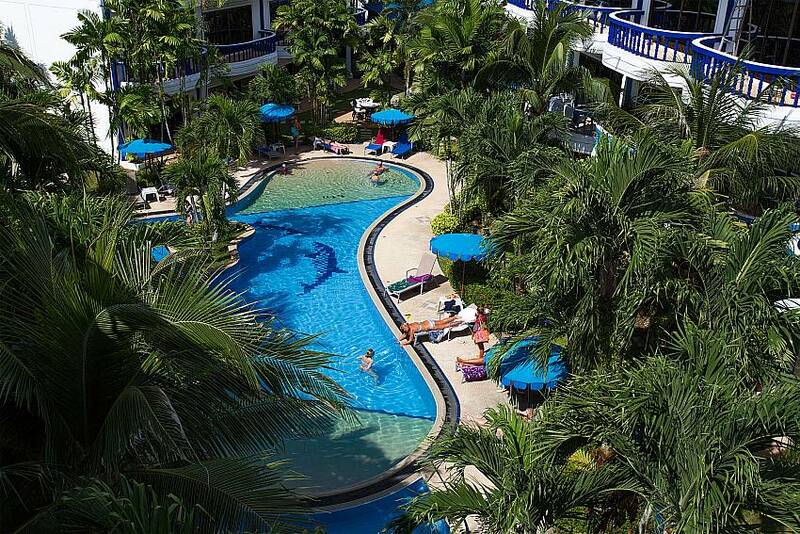 Phuket Fantasea, a fun park for people of all ages, is 1 km away while it takes only 15 minutes by car to get to Patong. 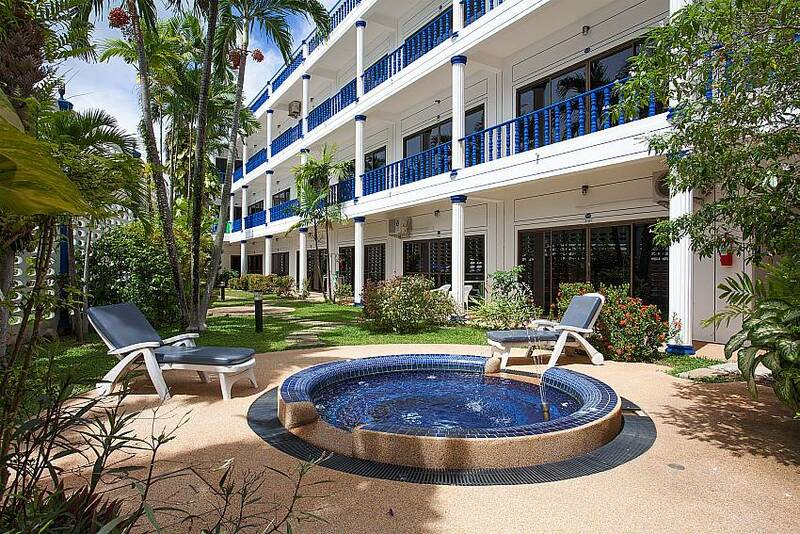 Another stunning beach, Surin, is a 10-minute drive away, and Phuket International Airport is 26 km or a 40-minute drive away from the condo. 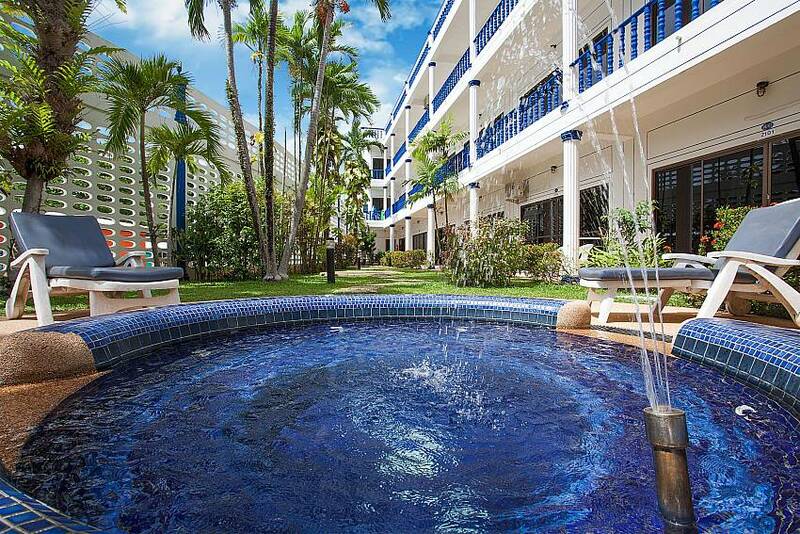 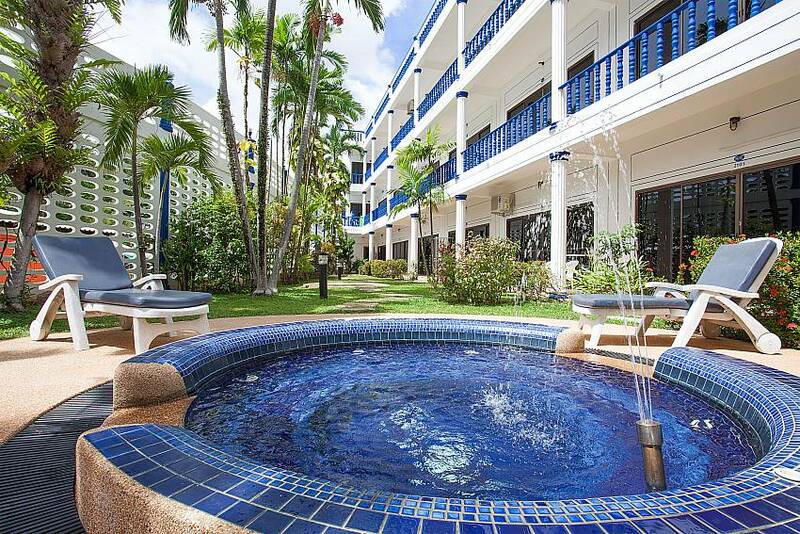 To browse a full list of exceptional rentals in Phuket, click here.